Aug. 15 (UPI) — The Norwegian government reported Wednesday that total greenhouse gas emissions were lower, with declines in pollution from road traffic leading the way. Statistics Norway, the government’s record-keeping agency, published data showing total greenhouse gas emissions declined in 2017 by 1.7 percent from the previous year. By sector, manufacturing and mining had the greatest increase with 4.3 percent from 2016, while emissions from road transportation had the greatest decrease with 9.6 percent. There were 142,490 total electric cars registered in the country at the beginning of the year, up more than 40 percent from one year ago. Passenger vehicles made up 97 percent of that total. The Norwegian government said electric vehicles make up about 5 percent of the passenger fleet, compared with 3.7 percent at the end of 2016. 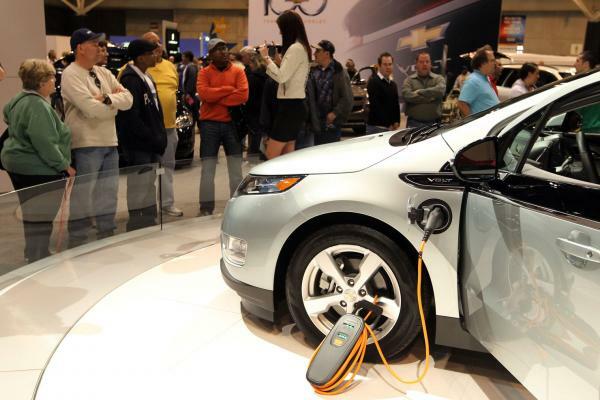 Tax exemptions, extended range and more access to charging stations are in part behind the trend. British energy company BP reported in an annual forecast that it expected 180 million electric vehicles on the world’s roads by 2035. That could crimp global oil demand in the coming years as about 30 percent of total miles driven in 2040 will be fueled by electricity. Norway derives much of its own power from renewable resources, sending nearly all of its offshore oil and natural gas production to the European market. Emissions from energy supply in the country are down more than 300 percent from their 1990 benchmark levels. Emissions from the oil and gas sector were down 1.4 percent from 2016 and 78 percent lower than the level in 1990. The Norwegian Petroleum Directorate, the nation’s energy regulator, reported total production for oil in June, the last full month for which data are available, averaged 1.48 million barrels per day, about 3 percent lower than forecast and the second month in a row for a decline.